Circulating fluidized bed boiler is a new efficient, low-pollution technology of clean coal boiler, the main features of the boiler furnace with a lot of material, in the combustion flue gas in a large number of materials are carried to the upper chamber, through the arrangement In the separator furnace exit, the materials and gas separation, and after non-mechanical valve will be sent back to materials will be sent to bed, repeatedly looping combustion. WNS series gas/oil steam boiler smoke gas three pass and wet back structure, achieve high thermal efficiency (98%) . This is fire tube boiler, low water quality requirement, the failure rate is lower than 0.1. Adopts international excellent burner, PLC automatic control cabinet, and safety interlock device, operate safely and conveniently. 1. Determine the capacity of the boiler. 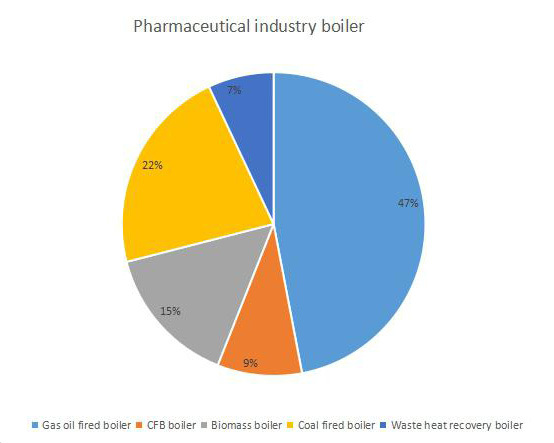 The boiler capacity should based on the Heating Load Curve or Heat Balance Diagram, and includes the heat loss in pipelines, self-used heat of boiler room, available used waste heat. While, usually, it is difficult to get the Heating Load Curve, the heating load could get based on the max thermal consumption per hour within production/heating/domestic, and then determine by using the coefficient. 2. Determine the boiler heating parameters, including pressure, temperature, etc. 3. Determine the boiler efficiency. In order to benefit for economic management, the boilers should have high thermal efficiency, and the boiler output, quantity and other performances have to adapt to the change of heat loading. 4. It is better to select the boilers with same capacity or combustion equipment. If different, the max limitation is two models, to decrease the problems of equipment layout and management.